This Friday released, the Hindi period action drama Parmanu- The Story of Pokhran has passed its opening weekend on an overall decent note. After an average start, Abhishek Sharma’s directorial picked up well over Saturday & Sunday and registered the 9th highest opening weekend of the year so far in India. 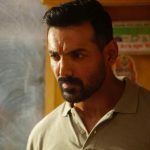 John Abraham, Diana Penty, and Boman Irani starrer Parmanu has received mostly positive reviews from the critics for its engaging story-line and gained good word of mouth. On Friday, it opened on a slow note and did the business of 4.82 crores after a decent pick post noon shows. On Saturday, as expected it took a healthy growth of 58.51% and minted the amount of 7.64 crores. Then on Sunday, due to the final match of IPL 2018, Parmanu witnessed a limited jump further and bagged the amount of 8.32 crores. With this, its 3 days total collection has become 20.78 crores nett from 1935 screens. 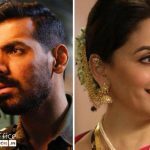 On the other hand, Bollywood actress Madhuri Dixit’s debut Marathi film Bucket List has also impressed the viewers and has gained positive word of mouth. Due to a good star power, it started the journey on a fair note and minted the amount of 0.96 crores at the domestic box office. On Saturday, Tejas Vijay Deoskar’s directorial recorded a very good jump of 35.42% and raked 1.30 crores. Then on the next day i.e. Sunday, Bucket List showed more growth and collected the business of 1.40 crores. With this, its first weekend total collection has become 3.66 crores from 409 screens across India.